researchers, have found a way to make crappy low-res displays show high-res imagery. And the secret is to simply just vibrate them. less resolution, the image is first broken down into several smaller images matching the display's native res. These images are then flashed in quick succession while the screen is rapidly, but subtlety, vibrated. displayed in exactly the same position. 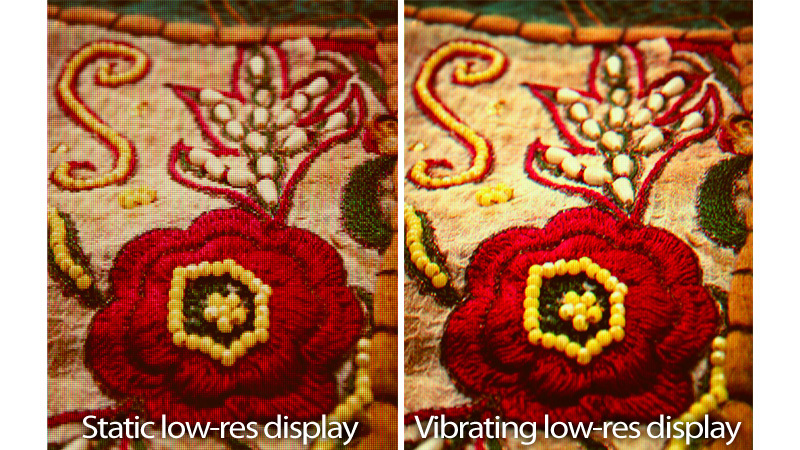 more resolution and detail than the display is capable of showing. the iPhone's, without actually requiring that fancy Retina display.